Magic Malmstrøm goes beyond the imagination and elevates the limits of modern magic. Through mind-bending illusions and manipulation he will make you question what is really possible. Magic Malmstrøm has performed on top of Tower Bridge in London, in 30.000 feet on an airplane to the Faroe Islands and at the famous Pioneer Works in Brooklyn, New York City. 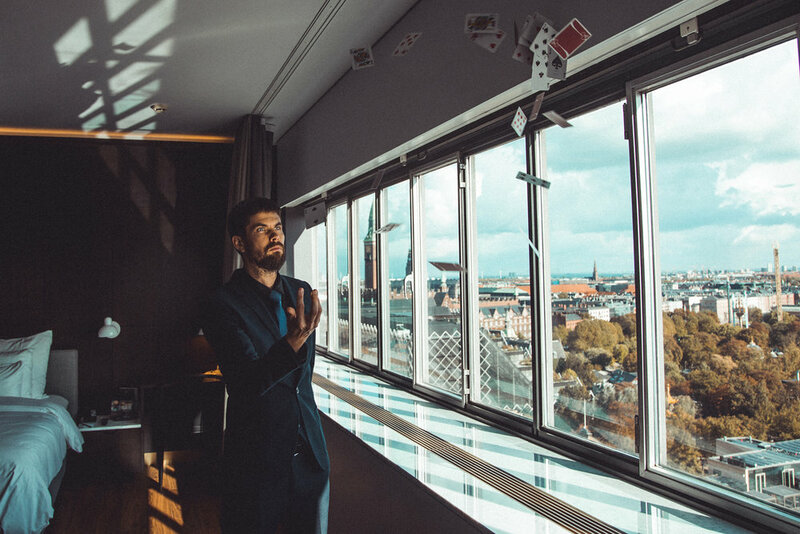 Based in Copenhagen, Denmark he travels the world with his breathtaking magic. Thank you! I will get back to you right away!